Alex Wilson is a Vermont-based writer focused on green building, energy, the environment, and the outdoors. 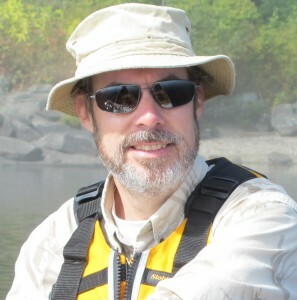 He is the founder and executive editor of Environmental Building News, published by BuildingGreen, Inc., which he started in 1985. BuildingGreen, based in Brattleboro, Vermont, now employees 20 people. In 2012, Alex founded the nonprofit Resilient Design Institute, an organization that advances practical solutions for communities, businesses, and individuals to adapt and thrive amid the accelerating social, ecological, and climatological change being experienced today. Resilience is the capacity to withstand and then bounce back from interruptions or disturbances–vulnerabilities that will become more common in the years and decades ahead. In the green building field, Alex is the author of Your Green Home (New Society Publishers, 2006), and the coauthor of the Consumer Guide to Home Energy Savings (ACEEE, 1st edition 1990; 9th edition, 2007), and the Rocky Mountain Institute’s textbook Green Development: Integrating Ecology and Real Estate (John Wiley & Sons, 1998). He has also written hundreds of articles on green building and related topics for such magazines as Fine Homebuilding, Architectural Record, Landscape Architecture, Journal of Light Construction, and Popular Science. In the outdoors arena, Alex is the coauthor of four books published by the Appalachian Mountain Club: the Quiet Water Canoe & Kayak Guides covering New Hampshire and Vermont, Southern New England, Maine, and New York. The New Hampshire and Vermont Guide, which came out in 1992, is now in its third edition (2010), while the other three books are in their second editions. Alex has been widely recognized for his work in green building. In 1993, he was awarded the first annual Lifetime Achievement Award by the Northeast Sustainable Energy Association. In 2008, he received the U.S. Green Building Council’s Leadership Award for Education. In 2010, he was the second recipient of the Hanley Award for Vision and Leadership in Sustainable Housing. 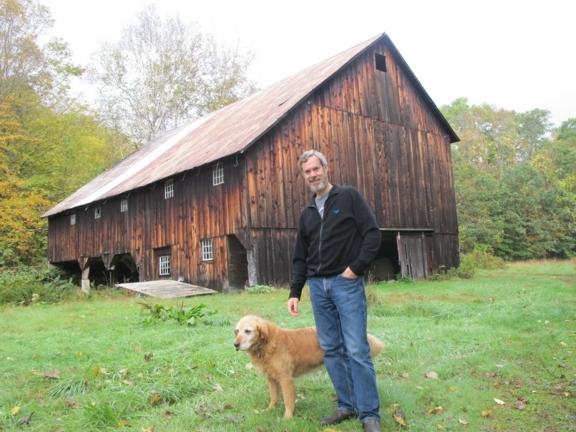 The roof on the 1812 barn at Leonard Farm will hold a solar electric array by mid-2013. Alex was a board member of the Northeast Sustainable Energy Association from 1986 through 1992 (after serving as executive director from 1980-85), and he served on the board of the U.S. Green Building Council from 2000 through 2005. He is currently a trustee of the Conservation and Research Foundation and the Vermont Chapter of The Nature Conservancy. Locally, he served on the Dummerston, Vermont Planning Commission for 12 years, and is currently a member (and founding chair) of the Dummerston Energy Committee. He serves on many other committees in the Brattleboro area, all focused on creating a better, more vibrant and sustainable community. In 2011, Alex and his wife Jerelyn purchased the historic Leonard Farm, just down the road from where they have lived for over 30 years. They are restoring/rebuilding the farmhouse with expected completion in the spring of 2013, and the 1812 barn will be restored and the south roof (see photo) fitted with a group-net-metered photovoltaic array. Over the coming years they plan to partner with farmers to re-establish a working farm on the 160-acre property, which includes 10 acres of open fields. Eventually, they plan to have two houses on the property: one where they live another another for the farm family.